I apologise if you've come to this post expecting to see those 50 ways listed out - you won't, but read on, you will still find it worthwhile. Most of us know that Google uses a complex algorithm for deciding how to rank pages in its search results, and we all want to get higher in that listing, because we know that if you aren't in the top few, chances are you won't get clicked on. (I'm pleased to say I'm winning the "brian clegg" search at the moment, though Brian Clegg arts and crafts is always nibbling at my heels.) 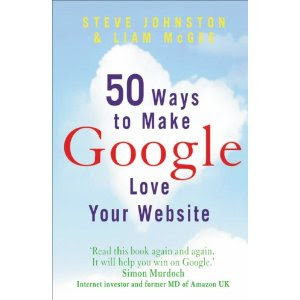 But how to make sure our site is as 'loved' (as the book puts it) as possible by Google? That's why there are so many SEO (search engine optimization) companies trying to take your money. You really have to understand what's going on in Google's vast computerized brain - which involves some impressive matrix mathematics. There's good news and bad news about this book. The good news first. Assuming it is right, it really understands the Google page rank mechanism, and goes through every detail of how it works, and how you can give your site the best chance of doing well. It really does provide those 50 ways, if not to make Google love your site, at least to make it think your site is pretty good. This is search engine optimization for the masses. The bad news? Well, the title sounds like a blog post - and to be honest, the '50 ways' themselves just aren't enough to fill a book. If all you want is practical advice, there's an awful lot of stuff here you don't care about. Much of the book is quite an academic dissection of Google's mechanisms, with each chapter having a small coda that's a few of those 50 ways as little snippets. Now we'd all love that blog post... but would you pay the price of a book for a blog post, unless you want that academic analysis too? Secondly, the recommendations are so hard! Unless your website is your life, or the lifeblood of your business, no one sane could be bothered to do everything suggested. We are probably talking person years to get it done. Yes, there are little hints and tips that everyone can fairly quickly employ, but some of this stuff is endlessly time consuming. If you are one of the Amazons of the e-world it's essential, but you will be doing it anyway. If you are Joe's Fish Shop,trying to drum up a little extra trade, it's just too much. Of course there are plenty of businesses in between who could benefit - but be aware, it's not a minor commitment. Can you give an example Brian? Mid range example (some are much more time consuming) - they recommend developing a list of search terms for your site using Google's 'searches related to' comment at the bottom of a search. Then doing adding to this from searches from the related searches to a couple of depths of iteration. Then entering your list of search terms (maybe 40 or 50 of them) into Google's Keyword Tool and doing various analyses on the search terms. 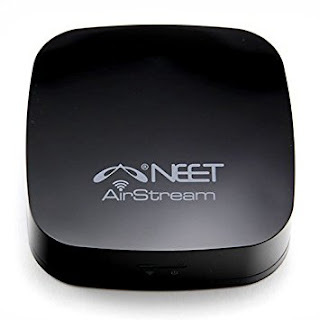 Then changing the name of the website (quite possibly the name of your company) and various other things to match the most likely search terms.